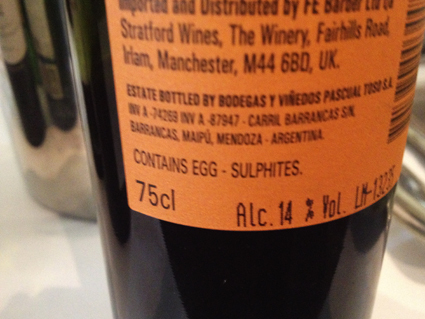 ”Contains Egg” What the f…? I was running a WSET (Wine and Spirit Education Trust) course last week in Nice. 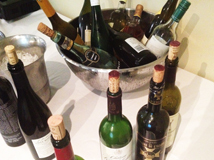 We had a lot of lovely and different wines to sample, based on a list proposed by the WSET. 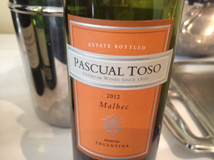 One was an Argentine Malbec. This is not the easiest wine to find in France, and I had but one choice – the excellent wine from Pascual Toso stocked by VSF. Fortunately, it’s a characteristic, delicious and perfect example of the style (and excellent value). It offers the crunchy blue fruit flavours of the Malbec grape, along with just a hint of the dusty earthiness that can show up in wines from Mendoza in Argentina. Fermentation is an inevitably cloudy process. Afterwards, yeasts and other substances will be left in the liquid. The only cloudy alcoholic drinks, however, that we will put up with, are some ciders and wheat beers. In fact, how you lose the particles that cause the cloudiness can be a big contributing factor to the quality of the wine. A rapid filtration can be very effective but will inevitably take with it some of the wine’s flavour (and possibly colour). Leaving the wine to settle only through gravity takes ages and is a testament to the quality of the wine, and the people who made it. They might well boast that the wine is unfiltered in consequence, and it will usually be red (where the opacity of the colour can hide a certain graininess). But nevertheless there remain some things in wine, proteins principally, that even gravity and time have trouble separating out. None of this stuff, of course, is anything other than natural and it most certainly cannot do you any harm, but hazy wine is not commercially acceptable. These particles, called colloids can be removed by a process called fining. A new substance, of the opposite electrical charge, is introduced at the top, and as it sinks it will collect and bind with all the undesirables and take them to the bottom. Then the clear wine can be drawn off. Well, you guessed it, one of the substances that can do this is egg, specifically albumen (some wine regions find uses for the yolks thus generated with lavishly cholesterolly pastries). Other fining agents include isinglass (from fish bladders! ), certain clays and gelatine (traditionally even animal blood in a raw state, although this has been outlawed for a very long time). Mentioning the fining agent on the label is perhaps a good idea for people who really wish to know (vegetarians and vegans for example), but I wonder whether ”Contains Egg” might do more harm than good. The wine does not taste of egg. If the process has been successful then there will be none of the relevant substance left in the bottle, and the label may as well state whether or not the winemaker was wearing leather boots at the time, or list 'stainless steel' as an ingredient (if that was the maturation vessel). I’m not a chemist however, and presumably a thorough laboratory analysis might be able to ascertain what fining agent was used. Wines, including this one, are usually labelled Contains Sulphites/Sulfites because such are known allergens (and it is practically impossible to make wine without using them for their stability, preservative or anti-oxidant properties). I’m sure some people are allergic to eggs, but perhaps some mention that 'egg-albumen was employed as a fining agent' would be a better to alert them, and the vegans, without the rather strange and potentially off-putting contains egg that this label sports. Anyway, don’t be put off. There will be no more egg in such a wine than there is in a Fabergé one, and the wine tastes delicious in all its crystal clear proteinlessness.